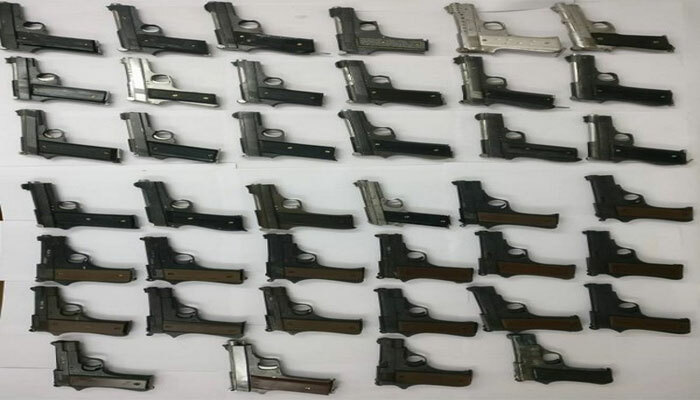 The troops of Assam Rifles busted one weapon manufacturing factory at Naginimora in Mon district along Assam-Nagaland border and recovered manufactured arms, ammunition and gun making tools and nabbed one person from the illegal weapon factory. one AK-47 with magazine, one M-16 rifle with magazine, two magazines of Point 22 mm Pistol, 17 live rounds of assorted ammunition, four barrels and few tools. The arrested person has been identified as Tophu Konyak. The AR official said he was involved in illegal manufacturing and supply of weapons and extortion activities in Mon district. The individual alongwith the recovered arms and ammunition was handed over to police for further investigation.